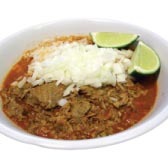 Our Mexican Restaurant provides authentic Mexican Food Catering services in the Y-S Area. Our Catering services are the finest in the area because of our home made dishes we provide. At us you will never be served canned or packaged foods. We take pride in cooking for your party. We insure that each plate comes out with rich spices and flavor. The food here is some of the best in town. Pork Tamales covered in Chile Colorado, off da chain! The Tacos are good with great tortillas and the Nachos are a gut buster for sure. If you've never been here, get here and eat! Reasonable Prices, great portion sizes. Free Chips and salsa with orders eaten in house. We may be a long way from the southern border, but the Mexican culinary canon has infiltrated Yuba City!. From traditional tamales to authentic tacos, Tortilleria Flores in Yuba City is a top place for your Mexican cravings. Our Catering service prices depend on how many people will be at your party or what dishes you will order. No party is too large or small. Your party won’t go wrong with us.. Enjoy real Mexican food during your party. We guarantee that your guest will love our home made dishes! Tortilleria Flores on Percy Ave in Yuba City is a first restaruant. 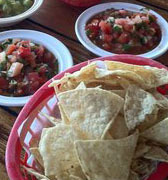 Always free chips and salsa made fresh daily with any in house order. The word “quality” falls miserably short in its attempt to describe our commitment to doing everything better!